Many legal cases revolve around real estate. These cases can stem from disputes over jointly-owned real estate, tax issues, estates, probate, wills, and trusts just to name a few. Frequently, property valuations play a key role in these cases. Maybe it is a divorce or will, and one party is disputing the value of a property pertaining to a division of assets; or a dispute regarding a buyout in jointly-owned real estate. There are many possible scenarios, but in all cases an attorney will need a real estate appraiser as an expert witness. 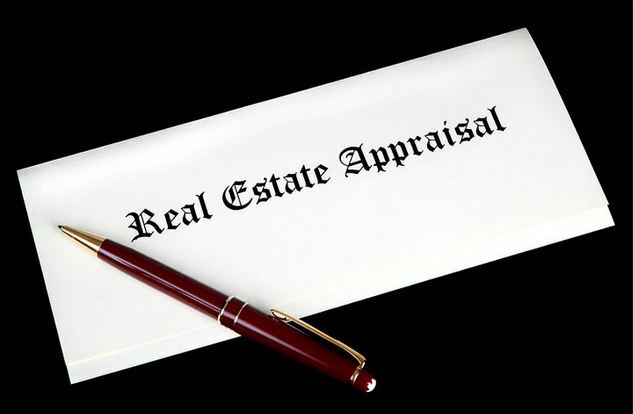 But not all appraisers are appropriate as experts or qualified to testify in court. So what qualities should an attorney look for when you hire the right real estate appraiser to provide expert testimony? In Colorado, legal disputes over real estate can be resolved through trial. The plaintiff and the defendant present their arguments. Depending on the type of trial, these arguments are heard by either a jury or a judge as an objective party. Now with all the possible cases that can come before a judge and jury it would be impossible for them to be knowledgeable in all subjects being tried. In such a case one or both sides will call in an expert witness to clarify the evidence for the judge and jury. An expert witness is a person considered to have credible knowledge in a specific field and provides his specialized viewpoint to determine whether the evidence shared in court is accurate. So what should attorneys look for in an expert? I recommend following these guidelines to ensure that you select the best real estate appraiser for the case. When it comes to legal cases, there is no better criterion than experience. Real estate disputes can be complicated issues to handle, so you want to select an appraiser who has spent a number of years working in the real estate industry. 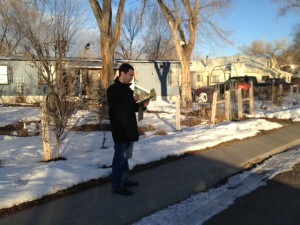 The appraiser should have conducted thousands of appraisals for various types of properties in. The appraiser should also be considered an expert in his field by other local members of his profession and the industry at large. It is also desirable if the appraiser has experience in providing expert testimony in similar cases. To be an expert witness in a trial concerning property valuation, a real estate appraiser must be knowledgeable about their profession and about the geographic area in question. Say you were trying a case in Montrose County Superior Court in western Colorado. You wouldn’t hire an appraiser from New York to be your expert witness. They might be an extremely qualified appraiser, but without an intimate knowledge of the area in question they would be all but useless to you in providing expert testimony. You’ll need an appraiser with experience servicing the city or county of the disputed property in your case. An expert is there to aid the court in identifying whether a piece of evidence has material bearing on the case and is permissible in court. To do this, the expert witness must be straightforward and unbiased at all times. The expert witness must be well-prepared and well-researched, providing honest information about the case. The appraiser must have the capability to answer unanticipated questions from either side in the case. Attorneys want an expert who is highly dependable. The real estate appraiser’s professional reputation must be beyond reproach otherwise the credibly of their testimony might be called into question and possibly discredited. Attorneys need an expert that talks confidently and can provide clarity to complex principles before either a judge or a jury. They need an expert who comes off as knowledgeable but not a know-it-all. This is especially important in jury trials where verdicts can be swayed by the likeability of a witness. While this list is not exhaustive, an attorney should have great success in their trial by using these five guidelines when you hire the right real estate appraiser as an expert witness. The above statements are for informational purposes only and not for the purpose of providing legal advice. You should contact your attorney to obtain advice with respect to any particular issue or problem. The opinions expressed at or through this article are the opinions of the individual author and may not reflect the opinions of the firm or any individual attorney. This entry was posted on March 3, 2014	and is filed under Appraisal, Appraiser, Attorneys, Legal. Written by: Josh+. You can follow any responses to this entry through the RSS 2.0 feed. You can leave a response, or trackback from your own site.